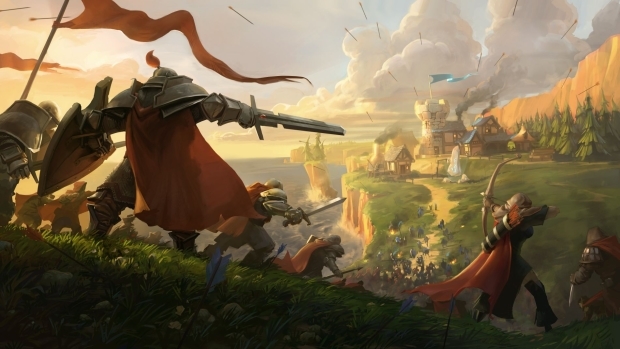 Sandbox Interactive, the team behind the cross-platform sandbox MMO Albion Online, are moving into the next stage of development and releasing founder’s packs. There are three different packs offering access to the alpha and beta testing as well as plenty of exclusive items. In addition to this, a new gameplay trailer features never-before-seen action from within the medieval fantasy world of this free MMORPG. The Veteran Pack offers guaranteed access to closed beta testing, to commence in 2015, for $29.95. In addition to this, the pack contains 2,000 Gold, with a real-world value of $10, a 30-day premium account, as well as a founder’s certificate to decorate your unique player house. Epic Founders secure themselves access not only to the closed beta, but also to two alpha tests to run in the summer and winter of 2014. They’ll also receive a cool 4,500 Gold, equivalent to $20, a 60-day premium account and a founder’s certificate. A sterling silver nameplate and avatar and an epic Explorer Armour Set round off the pack to truly mark out these founders as epic. The most extraordinary rewards are to be found in the Legedary Pack: Legendary founders get to be the very first to explore the new world of Albion, in the alpha tests as well as the closed beta testing, with guaranteed access before other players. The packet, costing $99.95, also offers a 90-day premium account, founder’s certificate, a shiny golden nametag and avatar, 12,000 Gold worth $50, a legendary explorer armor set, two different mounts, and an impressive ingame statue. Introducing the Red Fox Clan Polls! Today, MMOHuts will be introducing a new feature found in various locations around the site: the Red Fox Clan polls! Daybreak Games and Standing Stone Games have officially kicked off October in Dungeons & Dragons Online with their newest update.